Digital long ago established itself as a channel for brand building and direct marketing. But what are the most popular digital tools for acquiring customers? According to my newly published report for Gigaom Research, the unsexy tactic of email marketing is a digital workhorse, popular for awareness building, and customer acquisition, conversion, and retention. And referral marketing, not used as widely as other tactics, provides an especially strong payoff for its practitioners. My report suggests to marketers that acquiring customers in the digital era is like creating a mosaic: to achieve a beautiful outcome, companies need to apply the right blend of tactics. For instance, brands should consider using social media and referral marketing to complement lists created for email campaigns. The report, Workhorses and Dark Horses: Digital Tactics for Customer Acquisition, is based on a Gigaom survey of 300 U.S. digital marketers. We wanted to understand how they are using digital marketing tactics across the marketing funnel, spanning awareness, customer acquisition, conversion, and retention. Our survey affirms that digital marketing is being used consistently across the entire customer experience. Marketers told us that social media, already well known as an awareness-building tool, is also particularly useful for customer retention. Content marketing is especially useful for awareness and retention. And email is consistently used across the entire marketing funnel. Nearly 60 percent of companies plan to increase their digital marketing spend in 2014. Email marketing is the digital workhorse, deemed the most effective (relative to other digital tactics) for building awareness, acquisition, retention, and conversion. In fact, 56 percent of respondents identified email as being the most effective at retention, several points ahead of the second-most-effective tactic. Social spending is set to increase, but we discern some buying on faith with social. More marketers plan to spend more on social media marketing than any other digital tactic. But when we asked marketers to describe their perceptions of social media marketing, more marketers agreed with the statement “It is difficult to prove ROI for social media marketing” than with any other statement. Referral marketing is a digital marketing dark horse. Only 39 percent of marketers use it regularly, but 43 percent of those who do use it acquire more than 35 percent of their new customers with it. These numbers are double the percentage of marketers who report such acquisition rates using email. Brands that invest in referral can gain a competitive advantage over those investing elsewhere. Our study shows that marketers are getting value from referral, especially for acquisition and conversion. And marketers who use referral give it high marks for rewarding existing customers and generating valuable new customers. It’s extremely effective, generating a higher percentage of new customers for its practitioners than other tactics. A sizable number of marketers also believe referral helps them capitalize on their social follower base and capitalize on their existing email user subscriber base. However, our study also shows that referral marketing still has a long way to go in order to become mainstream. The majority of marketers do not use referral marketing, and 35 percent have not tried it. Marketers may do well to revisit referral marketing, especially by combining referral with social and email to make referral more effective. My report, underwritten by Extole and available in full to Gigaom clients, stresses the importance of acquiring customers by finding the right blend of tactics guided by the behavior of your customers. Don’t fall in love with one tactic. For instance, brands may want to combine referral marketing with, say, email. iPhone case manufacturer Lunatik acquires customers by combining referral marketing with email and a mobile app created especially to generate customers through word of mouth. Brands should also be open to blending forms of paid, earned, and owned media. Despite the fact that our survey ranked paid media fairly low amid 2014 marketing-spend priorities, it can and does continue to provide ROI for brands — especially when combined with unpaid media. 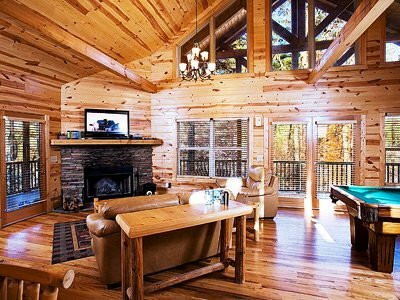 For example, Cedar Creek Cabin Rentals improved its rate of inbound leads by shifting from an over-reliance on paid search to a more sophisticated blend of paid search, email, and in-bound marketing tactics. The brand decreased (but did not eliminate) its paid-search spend while improving acquisition performance. I also urge marketers to experiment in order to gain a competitive edge. Platforms like Instagram, Pinterest, and Vine did not even exist a few years ago, and already savvy, quick thinking brands such as Dunkin’ Donuts and Nordstrom are capitalizing on those channels to advertise and launch seasonal products in fresh ways that create engagement. On the other hand, because digital changes so quickly, getting too comfortable with tried-and-true approaches can put you at a disadvantage to those who constantly adapt. One way a brand can gain a competitive advantage is to try an underutilized approach that others might be overlooking. The findings of our survey suggest that referral marketing is a case in point, given that most marketers don’t use it even though its practitioners report relatively high levels of satisfaction with referral marketing. 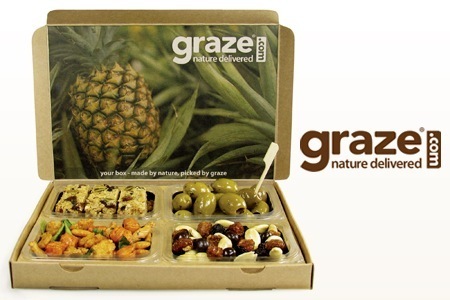 For instance, referral marketing has helped snack provider Graze disrupt the snacking industry. Graze aspires to be “reinventing snacking, one delicious nibble at a time” by home-delivering healthy snacks that customers can customize by rating and tweaking ongoing orders. The company aggressively relies on a referral program that integrates print advertising, product inserts with offers and invite codes, and online referral through email. Customers receive $1 (or can donate $1 to the Graze School of Family Farming in Uganda) for each friend who becomes a customer, and friends get their first and fifth boxes free. Digital marketing long ago went from Wild West to a more orderly way of acquiring customers. But for open-minded brands, digital remains a strong source of innovation and commerce. This entry was posted in Digital, Marketing and tagged Cedar Creek Cabin Rentals, Dunkin' Donuts, email, Extole, Gigaom, Graze, Instagram, Lunatik, Marketing Pilgrim, Nordstrom, Pinterest, referral, social media, Vine. Bookmark the permalink.